Used to be you had to build your watch out of a Faraday Cage to protect your watch from harmful magnetic fields. 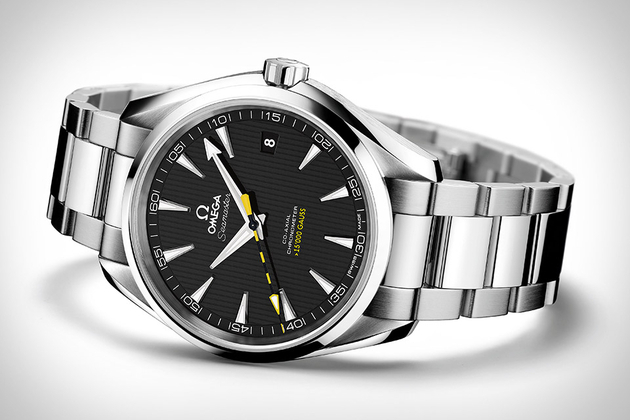 The Omega Anti-Magnetic Seamaster Aqua Terra Watch takes a different approach. It's powered by the new Omega Co-Axial calibre 8508 movement. Which is made using selected non-ferrous materials, giving the watch the ability to handle levels of magnetism up to 15,000 gauss. The watch also features a black dial, a distinctive yellow and black second hand, and a stainless steel case and band. Join over 15,000+ people who get free and fresh gadgets delivered automatically each time we publish.